Join us for this free series of lunch-time talks. Bring your lunch for these hour-long presentations, coffee and tea provided. 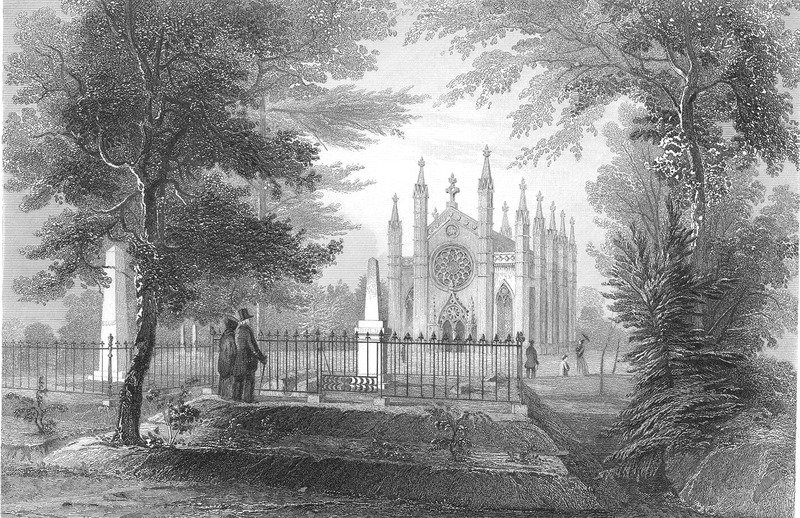 “How much longer will Mount Auburn be able to sell burial space?” Jim Holman, Director of Cemetery Development and Bree Harvey, Vice President of Cemetery & Visitor Services, will share the thinking behind and transformation of our newest interment space in the heart of Mount Auburn, Hazel Path. Balancing both client needs as well as habitat for urban wildlife this project is a beautiful and unique new area for burial and commemoration. Meet in Story Chapel. Bigelow Chapel reopened this fall after an ambitious renovation and addition by award-winning architecture firm William Rawn Associates. Improvements to the 19th-century Gothic chapel include a new handicapped accessible entrance, expanded reception and gathering space, a state-of-the-art crematory, and restored stained-glass Great Rose Window. Join Gus Fraser, Vice President of Preservation & Facilities and Meg L. Winslow, Curator of Historical Collections for highlights of this exciting project: from a selection of historic images chronicling the evolution of the building through the years, to design and construction. Meet in Bigelow Chapel. Asa Gray Garden was recently renovated and reopened with an elegant new fountain surrounded by a diverse mix of 175 varieties of trees, shrubs, perennials, grasses, annuals and bulbs that will provide four-seasons of color, texture and interest. With the arrival of spring, let’s celebrate this beautiful ornamental garden with an overview of the design and construction process and future plans for the garden by Dave Barnett, President & CEO, and Michael Leckie of Halvorson Design Partnership. 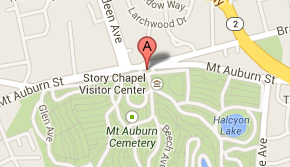 Meet in Story Chapel.